This national park is open daily and features beautiful lakes, animals, flowers and plants, including one of the region's first rubber tree orchards. 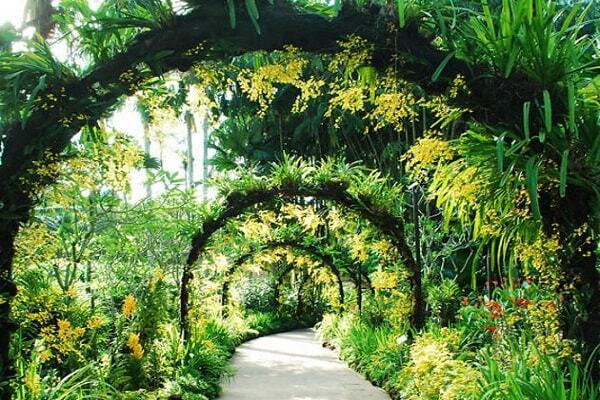 The Singapore Botanic Gardens Herbarium (international acronym SING) houses a main collection of about 750,000 herbarium specimens, as well as a supporting spirit collection. The Herbarium collections mainly include materials from the Malesian region (Peninsular Thailand, Malaysia, Singapore, Brunei, Indonesia, the Philippines and New Guinea) and adjacent areas (East Asia, mainland SE Asia, the Southwest Pacific), with the most extensive collections from Singapore and Peninsular Malaysia dating from the 1880s. Out of these, about 8000 are type specimens. The Herbarium uses the Botanical Research and Herbarium Management System (BRAHMS) to computerise the plant collection data.